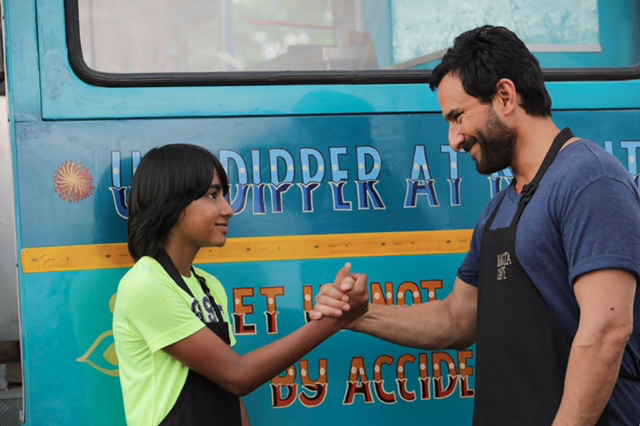 One of the films we are eagerly awaiting to see is Saif Ali Khan’s Chef, the official Indian adaption of the Hollywood hit film. Directed by Raja Krishnan Menon, Chef follows the journey of New Yorker, Roshan Kalra, a Michelin-starred culinary master who is forced to go back to India and reconnect with his roots and with his family, especially his 11-year old son, Armaan. Their relationship is bittersweet, and throughout the film Roshan finds out what it really means to be a good father. Interestingly Saif Ali Khan, who is of course a father in real life, found in reel life the role of Roshan Kalra was surprisingly daunting. With such an organic connection between the actors, Chef promises to deliver the depiction of a beautiful, complex relationship between parent and child against the backdrop of hectic modern life (as well as some very tasty food). Chef is out in cinemas on Friday 6th October 2017. 16 queries in 0.322 seconds.